I don’t think their yarns here are really that extensive but coming from an island without any legit yarn shop, it’s already heaven to me!!! I could just stare at their walls full of yarn display. On their entrance is shelves of their discounted yarns. This is the cheapest yarn in the store. It seems to be the equivalent of our Monaco. They have a lot of crochet hook brands, the popular ones, from Susan Bates to Hamanaka. Though, price-wise, you may score a better price from local fb sellers. They also carry a lot of knitting needles from Clover, and Aero. Either way, I think this is a good place to start your yarn shop hopping because it’s in Chinatown. They have a nice hawker station in this area though can be crowded because it’s a popular area. Well, I think what I really love about this place is seeing the Titas of SG with their crafts, and eavesdropping to their chatters. It’s my kind of “tourist spot.” They also display some knitted / crocheted items. The only thing I hoard from this place was this stitch markers, Clover and Hamanaka, because I have enough of the generic cheap stitch markers which break easily. Spotlight is like a home furnishing / decors, party supplies, and craft store. There was probably more to it. I just got stuck in the yarns area. There were probably 4 rows of yarns. If you love acrylics and wool, you can find a lot in relatively low prices here. At that time, I think the cheapest I saw was 4 skeins for SGD15. Protip: There’s a Daiso store right beside Spotlight. 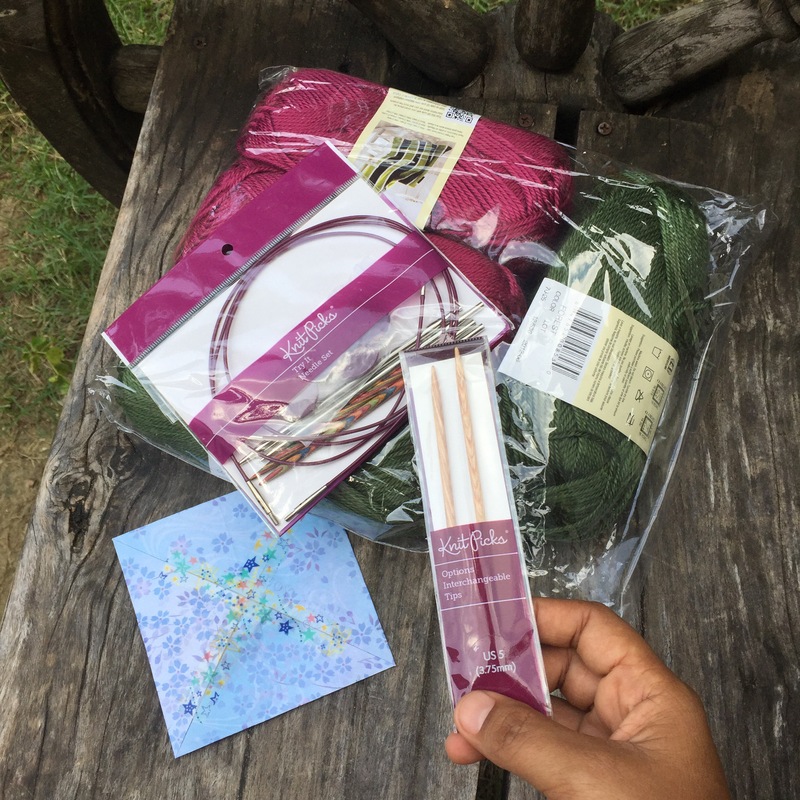 Because Daiso in Cebu does not have yarns, so it’s kind of fun to get inside a Daiso store and find yarns, and a bit of crochet and knitting notions. I think I got inside 2 Daiso stores in Singapore but I did not buy any thing. It was just for the fun of it. NOTE: They only accept cash. And, use Kewalram House to search it up in Google Maps as it’s easier that way. Per Knitwerks’ recommendation, I ventured to this place. I made sure that husband was free to accompany me because it looks tricky on Google maps. But really, it’s not. If you get intimidated with its location, don’t be. It’s located in a warehouse complex. If you’re in Cebu, it’s like you’re in MEPZA but only of warehouses. It’s an area full of buildings that are warehouses. You can find Ondori in one of the buildings. Ondori is located inside Kewalram House. So I guess when you look it up on Google Maps, you search for Kewalram House. Once you reach Kewalram, you have to get inside the building. They sale yarns by bulk, or as they say “peket” (packet). I think at least a packet may contain 6 pieces. They sell branded yarns: Katia, Schachenmayer, etc. This shelf just looks so fluffy. They have a specific shelves of yarns which are on SALE, where I got all my yarns. The lowest price I found was 20SGD for a packet but it was for some fancy yarns, which might just end up in your destash box. The nice ones were somewhere in 50SGD per packet (which consists of a minimum of 6 pieces). 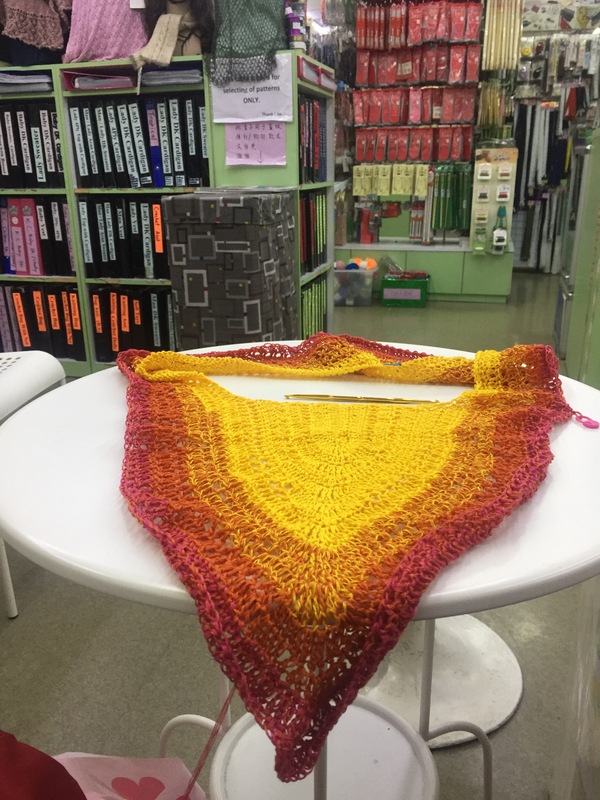 After Ondori, I dared not go to any yarn store any more. This is where my yarn shop / store hopping in Singapore ended. LAST PROTIP! If you ran out of money from yarns and such, visit one of their National Public Libraries. It’s so LIT! “Found this list on a ravely forum but it is posted 9 yrs ago. Some of the shops may or may not still be ard. Description: Tiny shop run by an approachable, friendly Chinese couple who don’t mind if you come in just to look. Small selection of plainer yarns, including Rowan, Butterfly…the shop also carries loads of ribbons and other fabric-craft-related items like buttons, zips, bells, cross-stitch etc. Description: Small supply but very friendly and helpful staff. Also stocks Addi needles and Clover. Lots of baby cotton. Also sells cross-stitch supplies. Have you give up on a project when you feel like it’s not going right? Is it easy for you throw in the towel?!? So I’m blogging to let my steam out. I’m so frustrated, disappointed of a very bad job I made of my current project (but I can label it now as ex-project because I’m totally giving up.) . I caught this mistake a day ago, but I thought I could just wing it out by trying to make up with stitches here and there. I was trying to correct a mistake by another mistake. Unfortunately, it ends up a total disaster. But I just have to cut the journey short as it no longer makes me happy. I never imagined that there are really people who used cup sleeves or cup cozies at home except when they’re given those cup sleeves at coffee shops. Anyhow, a friend messaged me that she wanted a few cup sleeves. And now I have a new sense of appreciation for what seemed to me boring thing to crochet. It’s actually quick fun. Following are some notes I made when adapting the crochet patterns that call for worsted yarn to mercerized cotton thread 10 for those who want some quickie crochet project. 1. Get cup sleeves from coffee shops. They come with the take-out paper cups. I believe it’s the standard size. There are lots of information regarding cup sleeve dimensions on the internet but to save us from information overload, just go to your nearest coffee shop. You can then use this as your gauge for sizing especially if we are not using the specified yarn weight in the pattern. 2. With monaco mercerized thread 10, chain 39 (to 41) as your base foundation. After making a few cup cozies, chain 39 is the closest that could give me the right size for standard cup sleeve. If you started with shorter length, you may increase in the later rows. 3. The alternate SC and DC stitches give me the most stretchy effect, and fits perfectly with the chain 39. The basket weave is also cozy except that it would shrink as you go on for more rows so you might start with a longer chain, or increase along the way. * Toothless the Dragon and Yoda cup sleeves / cozy crochet patterns are from The Enchanted Ladybug >>. This site has a lot of “kawaii” cup sleeves / cozy crochet patterns. * The Crown and Wonderwoman inspired cup cozies / sleeves were inspired by bigger versions of it. So you can actually use the patterns for beanies / hats, headbands but then just make smaller version of them. I was once gifted (pasalubong) of knitted Tigger (my favorite at that time) socks from Baguio long time ago. And, I really love it! I still have them with me with all the holes on it already. Fastforward 2 years ago, I started to learn to crochet. At that time, I just thought crochet and knitting are just one or similar. So that when after making a few dish cloths, I felt that I was already ready to dive into making socks. To cut the story short, here’s the first pair of socks I crocheted. I tried making one or 2 more in the thought that I would improve, but they’re so ugly that I finally gave up. That’s why I called it Project Ugly Socks. Fast-forward, I learned that crochet is different from knitting. And that the Baguio socks I got were knitted. That’s when I thought of learning how to knit. But I know now one in this city who knows how to knit. Yes, there is a lot of youtube tutorials but I just could not get video tutorials unless I see someone in person made a demo of it first. I got lucky when I stumbled upon a craft store in SG last year, Golden Dragon Store. 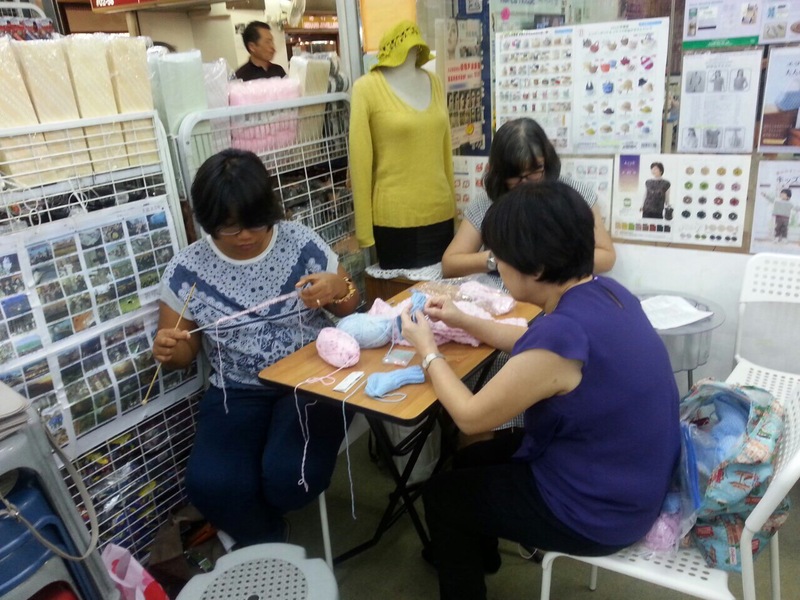 They have a knitting corner where “Titas of SG” tambay to knit or crochet. The craft store staff would teach you if you buy some stuff from them. 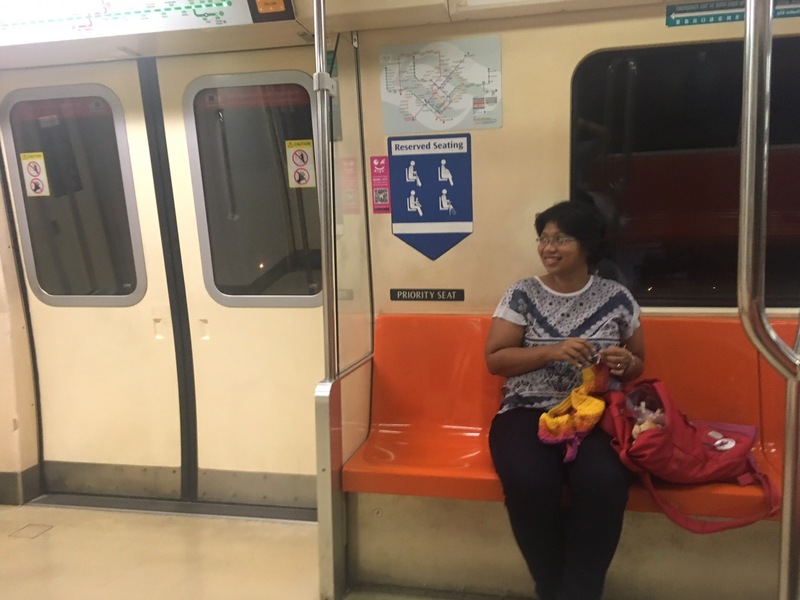 So there, I’m “internationally” educated in knitting from women with thick Singlish accent I hardly understand. This was last year. And nothing happen to my knitting after that. Attempt at #knitting. The struggle is real. So last month (after a year), I decided to pick up the knitting needles. Thankfully, despite that Singlish instructions, I still have a vague memory of the steps. After watching a youtube tutorial, I realized that the SG Titas were actually teaching me knit and purl stitches. The way they pronounced “purl” was just so strange. On to my knitting socks progress, the most I have now is that I stumbled upon an FB page hosting a socks KAL (Knit-along) which will start July, tomorrow. I got my yarns and colorful knitting needles. The only questions is if I can hold my attention long enough to get me through this? Hopefully, by december, I will have a decent enough looking knitted socks. For those interested, you can join the knitted socks KAL in Sari Sariy Yarnery’s page >>. They also sell knitting needles, yarns and other related stuff. Probably for lack of any thing to comment on my crochet, friends would say that I should sell my crochet items. I did sell some items way before. I’m not so proud to say that I was making money from little kids’ recess money @. @; I was selling pokemon amigurumi items to my kids’ classmates. My kids with their friends got a list of orders from their classmates, and I made them. Later on, I learned that the term for that is MTO (made-to-order). It was cheap but it was not short of happiness. 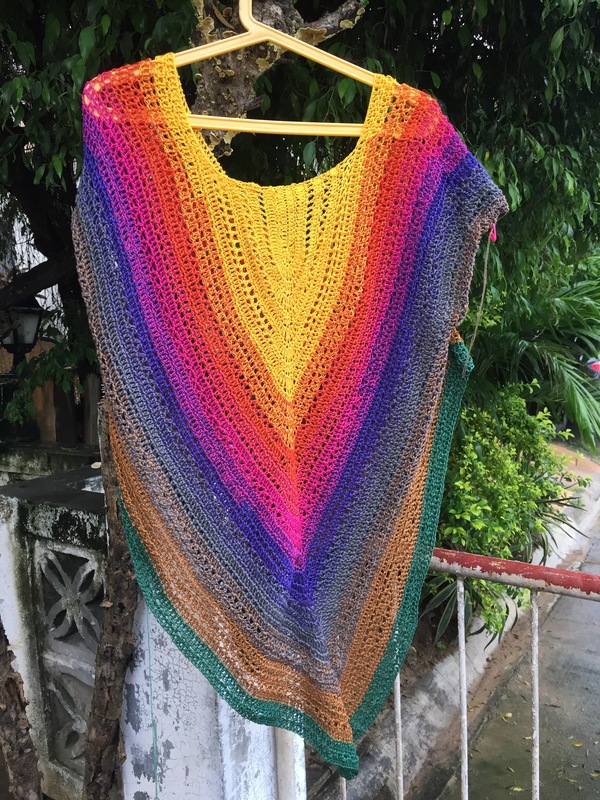 Now to the main reason for this blog is that I just really want to share the basic of selling in SHOPEE app, and also to celebrate my 1st SOLD OUT (of course, I only have 1 stock.). I’m familiar with online selling; I had been doing it for other stuff way back, and it was not easy in local market (Philippines) because credit card penetration is not yet that high and Filipinos just simply don’t trust online money transaction that much. Meet-ups and coordinating payments from different facility are quite a lot of effort and eat a lot of time that when your margin is low, it’s just as good as break-even. So came SHOPEE… I was buying from sellers, and it’s a good experience especially with the COD and free shipping. So now on the seller part, I posted the item, a table runner, way back in February, which I kind of forgot about it. I actually made the table runner for myself, and thought of just posting it on Shopee for experiment. After 48 years, someone messaged me and bought it. Really?!? People who want table runner exist?!? So this is how a COD order (cash-on-delivery) and integrated (free) shipping works in Shopee. 1. A notification status would state that an order was placed for your item. 2. Scheduling pick-up for shipping from the Shopee app. After an order is posted, you have to wait for an hour or 2 or few minutes before a prompt / notification will appear that you can schedule a pick-up (This part got me really confused because I could not find the prompt to schedule shipping right away; I actually have to wait for an hour or 2.). This is to give a leeway time in case the buyer decided to cancel the order. The shipping of Shopee is serviced by BAE (Black Arrow Express). 3. You choose a date / time within the Shopee app for the pick-up. I so love this! =) It’s free but I would not mind paying a bit extra for this service. 6. Getting the payment from Shopee. I still have to figure this out. =) I think I just need to add my bank account. So there, THANK YOU to this person who likes table runner in orange shades! =) And, please watch out for new stock of Flower Bouquet Table Runner (hopefully, it will not take me 48 years to finish.)! Keep posted thru my SHOP page, or add me in Shopee, shopee.com/craftynanay. On to the mission of glamming up your #foodie IG post, one table runner at a time! 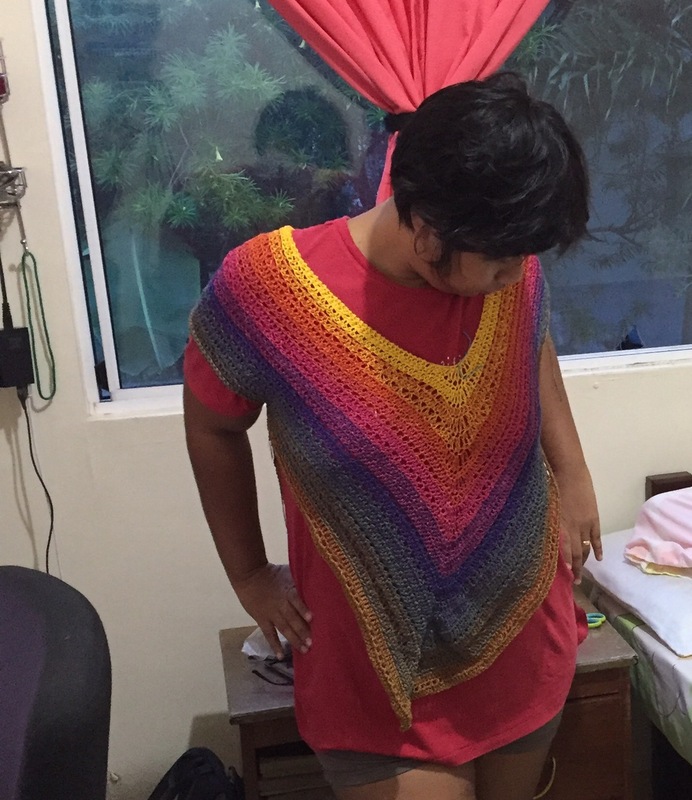 So this is my version of Lost in Time crochet shawl. Thankfully, I was able to finish it, and did not get lost in time. Lesson learned: Do not be major glutton. 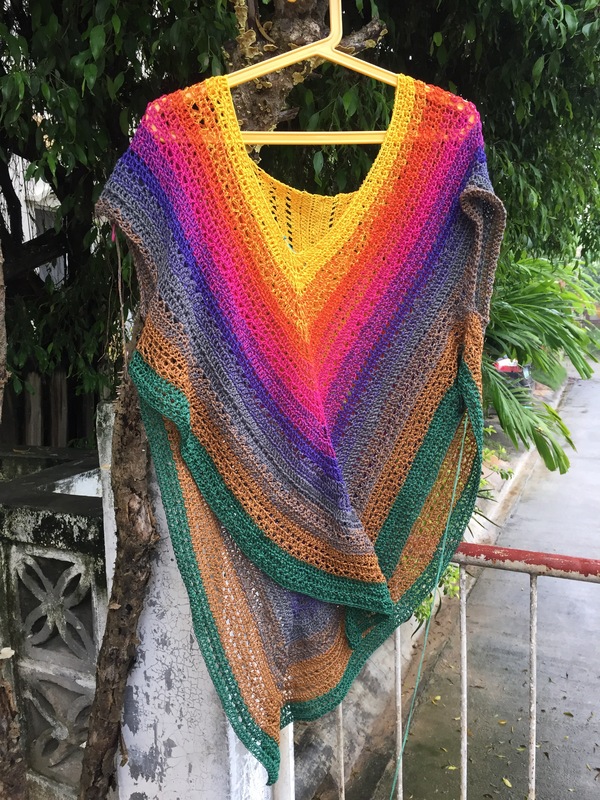 One of the reasons why I posted a blog of the Lost in Time shawl because I came across a post from a crocheter, in one of the FB crochet groups, asking for the “Total number of stitches for each row” on every additional rows after Row 26 so I’m writing this down to serve as a note. 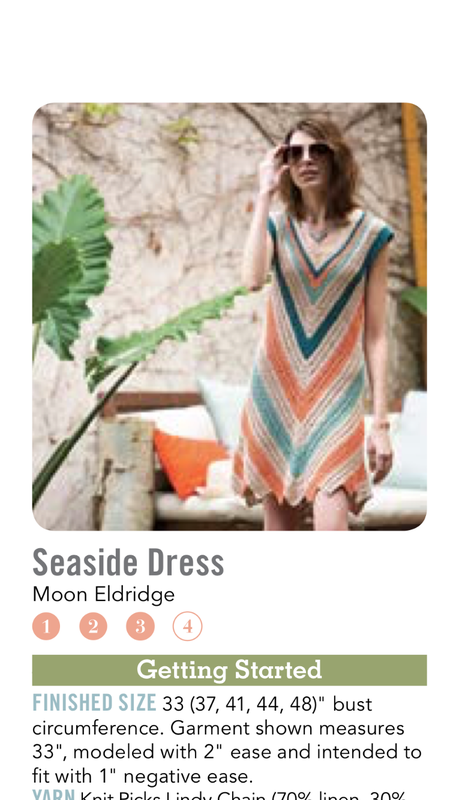 So the downloadable pattern is only up to Row 26. Once you’re done with Row 26, you can continue by repeating row 15-26 as long as you like. So when I had to re-do the shawl from scratch, I paid attention to the stitch counts. It was really an effort because I’m not that OC when it comes to stitch counts and a few kinks here and there as long as it does not affect the final overall look of the item. For repeat of Row 15-22, there was a pattern of increase by 20 stitches for every next “round” of repeat. For repeat of Row 23, there was an increase of 10 stitches. For repeat of Row 24, there’s an increate of 5 clusters of 8DCs. For repeat of Row 26, there’s an increase of 5 for the popcorn stitches and 40 for the DC stitches. The edging of my Lost in Time was modified because I ran out of yarns already. Please subscribe please! Baka magka budget, at magpa giveaway ako! To check my old 1-minute #gantsilyoserye videos, you can check hashtag #gantsilyoserye in instagram, or click here >>. Hopefully, I could at least make 1 short video a month on top of my #WIPS! This way my entry, a crochet Tulip Mandala (pattern design by @trollgarnet). This is my first mandala, and it’s actually fun to make. So now on my to crochet hooks, I’m going to share here my crochet journey, my favorites, and what works for me. The first batch of hooks I bought; I got over excited! @. @ When I bought them, I did not know a thing about crochet. I was buying it for my mother. So I was really not particular with it except that we opted to for big hooks because my mother’s right arm was a bit wonky when she had a stroke years ago. Big hooks were easier for her to handle. I got this from amazon online when a friend had a shipment. I just picked those hook sets with low prices. Anyhow, When I started learning to crochet, the biggest problem is the “tension.” I ended up with tight stitches that it’s just hard to crochet on top of it because I could no longer find the “stitch holes” and it’s just generally difficult to “poke” the holes. But Susan Bates kind of solve the super tightness of my stitches. That’s when I learned that the tip of the hooks have different designs: inline vs the taper hooks. Susan Bates and Lion brand hooks are inline. I picked up one of those other generic hooks I got for the mother (the one on the left side of the photo below). Maybe I was not using it the right way, there was just no connection between me and that hook unlike Susan Bates. But I got not choice, so I just made use of it. I highly recommend Susan Bates for the beginners, and for those wanting to relieve their very tight tensions. It’s also one of the hook brands which are available locally. I forgot to bring a hook one time but I got yarns so I bought from a craft store this double-ended hook. It’s kind of a “copycut” of a the classic Tulip double-ended hook (I noticed later). And, I was pretty surprise, crocheting amigurumi using this feels way better. Was not expecting much from this #crochethook, w/c I randomly bought because I forgot to bring one. This actually feels good to use. NOOOO!!! Just don’t bother with it even if the colors are just so fancy. These were pretty useless. I just do not have connection with it. I got 2 sets of this. The first one was I bought it for the mother, and gave it away. Then, the second one was a gift so I could not give it away. I really tried liking it but we’re just not meant to be. I guess it has to do that its hook’s tip are extra larger; I need some extra effort of pulling it out from a stitch. Wa ko nalipay. PERTENG LIPAYA! @. @ When someone does not know what to give to a #crocheter, & ends up getting random stuff for you like these; I DO NOT MIND AT ALL!!! Salamat, Tessie ug Tabong diha sa Ca, !!! Happy to be #yarnbombed #hookbombed! So when I was in the amigurumi phase, I kept looking around what were other amigurumi crocheters were using. And, it’s always Clover hooks they would recommend. I don’t know if they were sponsored or not. Anyhow, I went for Clover Amure hook set, then I bought one Tulip Etimo to try it (I think the color made me do it.). Honestly, the Clover Amure feels like the generic double-ended hook except that it has this fancy “rubber” grip. But no regrets. When I bought them, I was clueless with hook sizes. When I picked up the number 4 of Tulip Etimo, I thought it meant 4MM. But the #4 was more of a label, and I should pay attention to the other number which was 2.5MM (the actual size of the hook). So when I got the Tulip, I was not able to use it right away because I’m worsted yarn user. I only got to use it later when I finally tried the mercerised thread. And, I fell inlove with Tulip! There’s that certain glide that I’m only able to experience in Tulip. It just feels like extra smoother! That’s when I realized my biggest petty regret. I should have not let the blogger reviews swayed me too much. Anyhow, no regrets with the Clover Amure. I bought it because I want to have the 4.5 and 5.5mm sizes (because I had no idea about the hook sizes when I got my previous ones so I missed out to buy the set with the 4.5 & 5.5. Boo me!). Just like Boye hooks, there’s just connection between I and the hooks. The packaging says it’s for “wool” yarn though that can be the reason why. On a more specific note, it’s tip / head is slightly bigger than the clover or the generic hooks so there’s that need of extra wiggle to pull it out from a stitch. So I just can’t slide my way in and out of a stitch. But if you come from the Boye camp, using Prym crochet hooks might not be a big problem. As I said, I lack the 4.5 and 5.5 mm sizes. I was not so happy with the Prym. I found a Clover hooks in 4.5 and 5.5mm at a lower price from The Attic Yarn & Craftery. I think from the local online sellers, they have the slightly lower prices of branded hooks (Correct me if I’m wrong). When it comes to the “feels,” I think there’s no difference between Clover Amure vs Soft Touch. But I love the gold color of Clover Soft Touch compared to the boring silver color of Clover Amure. It looks so classic and romantic when the gold color of Soft Touch is with a classic yarn color too. It just feels cooler to the eyes. On the grip handle, I could feel there’s an extra “turn” with the Clover Soft touch because it has a rectangle-ish shape, unlike with the round handle of Amure which you can just roll it in your hands. But it’s unnoticeable though for me. I bought this together with the Clover Soft Touch to maximize using the shipping fee. I just use the 2.5mm because I’m scared using any thing smaller size than that. I think this is the first steel hook that I get to really use. And, surprisingly I love it! =) I realized that there’s a certain “classic” feel when I use the steel hook. To make up for not winning the Tulip giveaway, I bought these when I stumbled on it when I was buying fabrics my kids’ uniforms. These are steel hooks I think, and they’re actually good except that the tip / shaft of these hooks have some tiny extra bits, not evenly smooth out. I really forgot to check on that. 1. Susan Bates hooks if you’re a beginner who is struggling with very tight tension. But I believe that tension gets better with more hooking whatever crochet hook we’re using. The weather in my beautiful island in the Pacific, Cebu, is so crazy hot. For a tropical island dweller to complain about the hot weather, it is really burning hot… that I can’t help but keep thinking about Baguio. Let me make a throwback to my first ever trip to the summer capital of the Philippains to hopefully bring in some coldness to this island. The first thing that I saw when we landed in Baguio was the “Baguio broom.” I got so excited to see my favorite broom, Baguio broom, in its original place! It’s like visiting a friend in his place; I feel so giddy! Please do not ever wear a beanie and a top / poncho / jacket in orange colors; and wear them all at the same time, unless you want to look like a traffic cone. Traffic-cone fashion or whatever, me no care! We arrived in Baguio so early in the morning so we just roam around the Burnham Park. The famous strawberry taho. I was not really crazy over it though. The most important thing on that trip was the trip to HANGAR MARKET because YARNS and COFFEE. Honestly, I was kind of disappointed in the yarn department. I think I just did not know my way around that I did not find much that interest me but nevertheless I still ended up with a lot. The most yarns I found there at that time were the acrylic: the indophil and lanalon. I think the guy in the photo was spinning indophil. I was not able to buy much acrylic because I still had quite a stash at that time. The kilo there (at that time) was P350/kg. I have not seen much classic straight cotton. They’re probably always sold out, or I did not know my way around. I love coffee. It makes crocheting less lonely; it makes every thing less lonely. =) This was located down below the yarns floor. Hangar Market is an interesting place. I really wanted to roam around the market but husband was already grumpy carrying the yarns. We stayed in a Japanese-owned backpacker kind of place, Tala. It was located beside Cafe Yagam, a homey kind of restaurant somewhere in the Mines View area. And, there’s really a big difference when you crochet in a cold weather, compared when you’re in a beach under a blaring hot sun. Morning walk to Mines View Park. Cold-weather really makes trekking and walking and roaming romantic. Coffee Harvest Tour. It was timely that the place we’re staying, where an NGO about coffee farmers was based, was organizing a coffee farm tour. We were the few Filipinos in a group of Japanese, Koreans, Taiwanese, Chinese. Baguio has a lot of foreigners, mostly Asian, studying ESL so it’s common to see them around. The coffee farm was located in Tublay, Benguet. This woman had a unique baby carrier. #Selfie with the coffee cherries. And, to culminate our trip to USA property, we had breakfast at a diner. It’s really my wish to eat in a diner, like those in American movies kind of diner. Then, we moved on to Sagada, which was an endless zigzag to Heaven kind of ride. This Vietnamese coffee with coconut milk is YUMMM! Please visit / share my crocheted items shop here >>.